13 Hirsch Rd in Stamford stands above the rest, in what has become an incredibly competitive real estate market. This condo alternative is waiting for the right buyer! In one of the most desirable Stamford neighborhoods, Newfield, arriving at 13 Hirsch Rd is quick from all major highways and main roads, the beauty of this area. The street itself has plenty of parking for guests, sidewalks to walk the dog, and plenty of mature trees casting shade everywhere. This location is unique in that it is only a short walk to the grocery store, CVS, bank, and more. Seeing 13 Hirsch Rd, immediately the impression of upkeep is apparent. ​ The driveway appears newer, the clapboard siding appears in excellent shape, and there is a quaint, shaded front porch where you can read a book in the morning while enjoying the quiet location. Entering the front door, you are greeted by three rooms that lead into each other, the living room, dining room, and kitchen. Each room is spacious, and bright. The windows appear new, and the homeowner's taste is seemingly perfect for this space. There are dark hardwood floors in the first two rooms, crown molding, and paint colors that fit perfectly. Even the original moldings around the windows are tasteful and fit perfectly with this home. 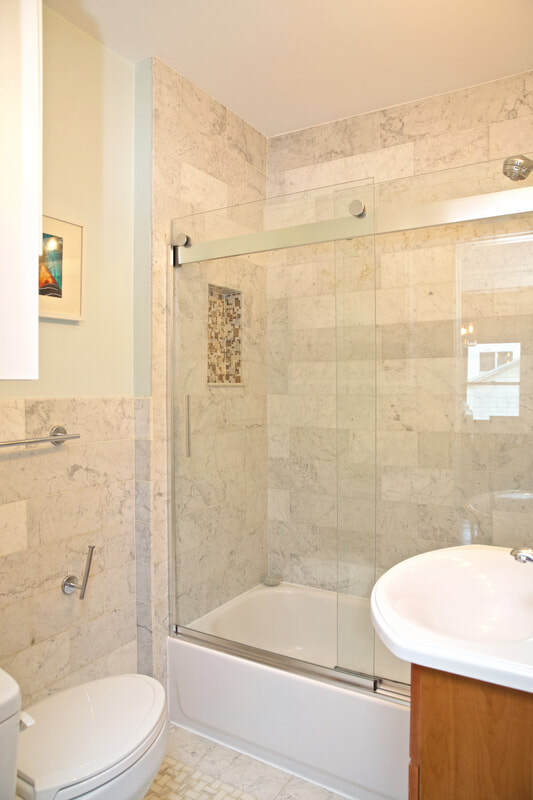 The main bathroom, with a white-stone theme is completely updated also, with no work necessary. This sits in the hallway between the two bedrooms on this level. Each of these bedrooms is about the same size, comfortably fitting a large bed, also with dark hardwood floors. The entire home has newer windows, sliders, and more. The kitchen, also with many updates, is spacious, with perfect room for a portable island if a future buyer chooses. Lots of natural light, the sliders lead to a large deck and a quaint but level back yard, not too much, but not too little. The home continues downstairs, with a place for laundry, and plenty of space for storage. This is the part of downstairs that is underwhelming, yet still with many updates. What really sells this basement is the finished space with a full bathroom, and large kitchenette. It has a separate entrance to the finished basement, that leads to the driveway and back yard. It can be a nice in-law apartment with no stairs, or perfect for a nanny-type space. 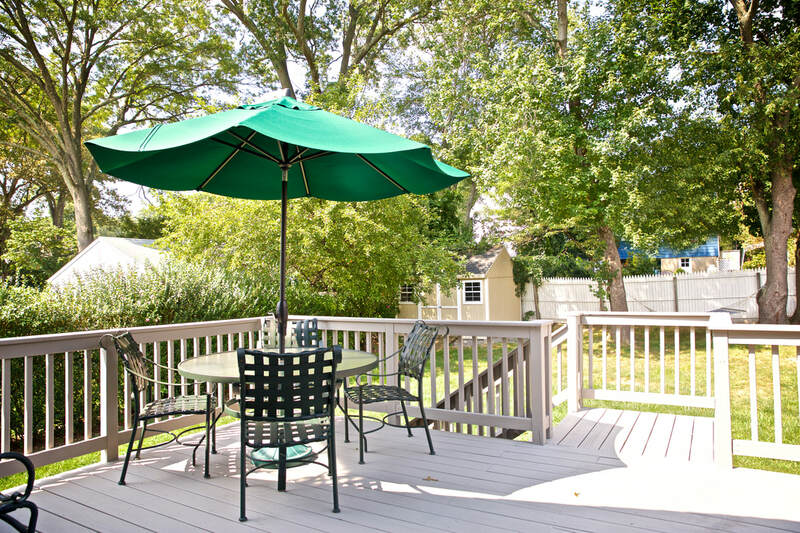 The large deck, the full back yard, all round out a perfect home. Walk to shopping, relax in the front, in the back, or inside in one of many finished spaces, and it's just the ticket! In a nutshell, 13 Hirsch Rd in Stamford is the perfect home for someone who would otherwise seek a condominium. Frankl​y, it's better than a condo with the bonus space downstairs, and in a condition that is unmatched. 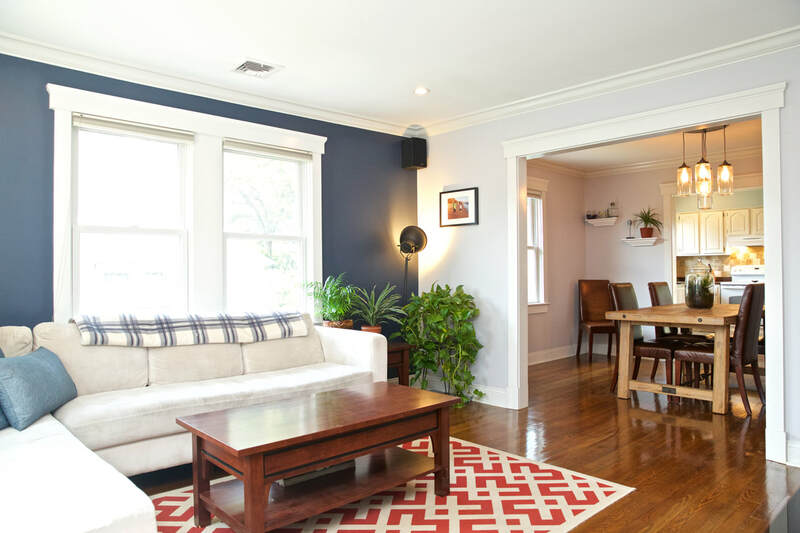 Take the bright spaces, the updates, and you have a well-rounded home for today's buyer!